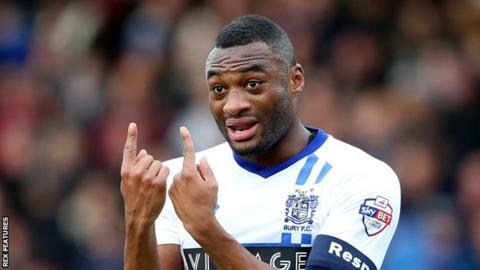 Bury captain Nathan Cameron has been ruled out for the rest of the season as he requires surgery on a knee injury. The defender, 24, who has played 37 games for the Shakers this season, suffered cartilage damage in their win against Colchester on 20 February. "It's massive, we've known about it for a couple of weeks," boss David Flitcroft told BBC Radio Manchester. "Nathan's been one of those players who's developed into a steady League One centre-half and it's a big blow."